While most people are aware that access to high speed internet can mean ease and convenience, many may not realise just how much money this technology could save them. Over recent years, a rising number of households across the United States have come to realise how access to high speed, reliable internet can provide ease and convenience in many ways. 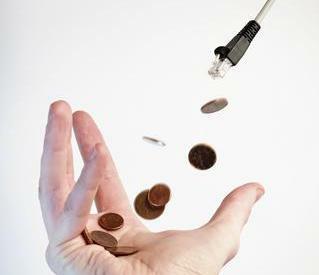 However, many may not realise how much money they can save with access to solid internet services – something that has been highlighted in a recent report. According to reports, many families can save thousands of dollars per year in total on everything from holidays and recreation to utilities, groceries, furniture, clothes and more. Many people with reliable internet access take advantage of resources such as daily deals, which can save them a fortune on the regular cost of goods and services. Many others save money by doing this such as reading the news online rather than going out and buying a paper, which can save an average $175 per year. The report claims that the average amounts that households may be able to save thanks to high speed internet include $2500 on entertainment, over $1650 on travel, nearly $1000 on food, over $1000 on clothes, around $100 on non-prescription drugs, and close to $500 on auto costs. The average total amount that can be saved by those with high speed internet and who take advantage of this technology to save money is said to be around $8800.